I totally agree with this researcher. I’ve been saying it for years “DO NOT BLAIM THE JEW”. The TORAH has much much worse verses than that. If every GOYIM read the TORAH Israel be overrun. It shocked me to think someone would right that down. However, it’s exactly what the Zhzarian Mafia have been doing for hundreds (that we know of) years. That Mafia hides behind the Jew, but give them special rewards for playing the game, but essentially the TORAH is evil. But the Orthodox Jews love it because it puts these people at the top of the pyramid. So they do what ever they’re told justifying because it’s the Word of God! Yeah right. 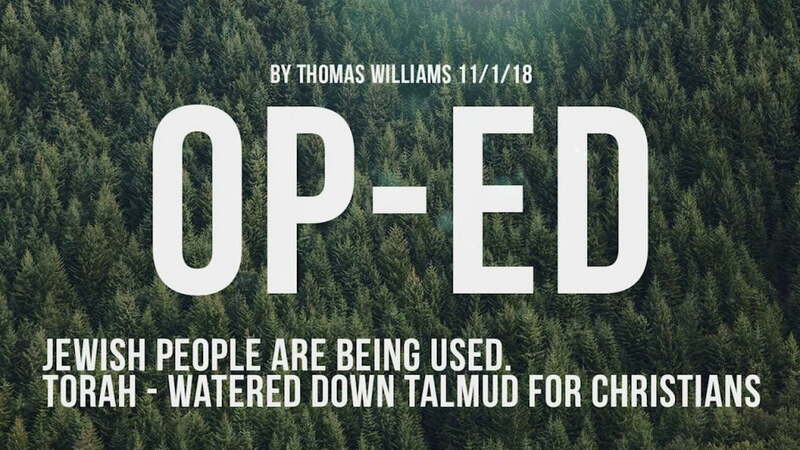 This opinion piece is only accurate when it comes to the Talmud, which is only read and taught by extreme Orthodox Jews. No non-orthodox Jew, like Conservative or Reform Jews even bothers with it. The Torah is the Old Testament, which all Christians and non-orthodox Jews venerate, and rightly so. It is too vast a book to discuss in 2 paragraphs; the Jewish Bible was not a watered down version of anything. It contains prophecy, especially about Jesus the real Messiah; Proverbs, which is a book of wisdom for all; and the stories of the Patriarchs Abraham, Isaac and Jacob, from whom almost 99% of Jews believe themselves to be descendants of. This gentleman’s inaccuracies, except about the Talmud, are so great as to be almost laughable, if not for the fact that stuff like this does fuel anti-semitism. These kinds of articles can actually be dangerous. Love and Peace to all Beings, from a Jew. If you say that Jesus is the real Messiah, then you’re kind of no longer a Jew; “Messianic Jews” are no longer Jews according to the Orthodox; just another brand of Christianity. If I’m wrong, please reply.